Home Blog How Can I learn to Speak Portuguese Quickly? 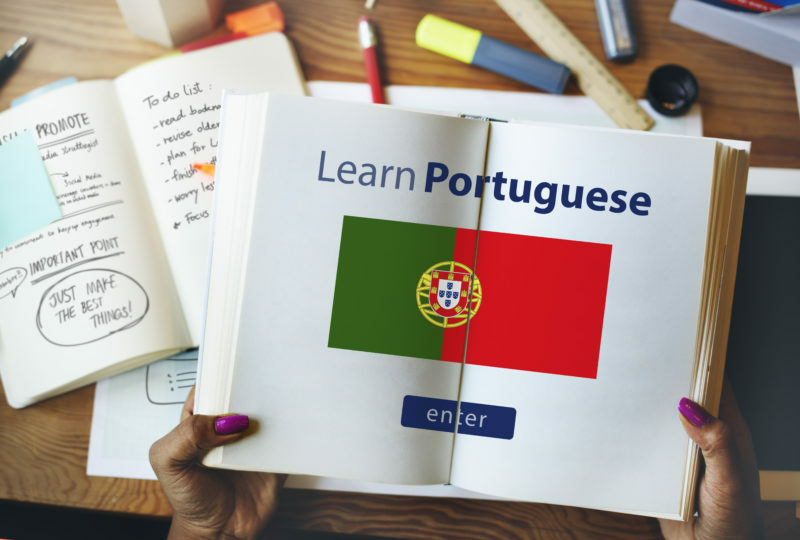 If you are planning to relocate to Portugal, Brazil or several parts of southern Africa, then it is important that you learn how to speak Portuguese. Over 15 million people have embraced Portuguese as their second language, and you can easily join them. If you are asking, how can I learn to speak Portuguese? You will be delighted to know that it is not as hard as you imagineed. Babbel, a Portuguese learning online platform, allows you to learn to speak Portuguese and at your own pace. This gives you more control, and you can select the lessons based on how much time you want to spend on the platform. With Babbel, you can also practice vocabulary while on the go. It is interesting to note that English and Portuguese both have Latin roots and several words in common. When you begin, you may find it hard to master the pronunciation and accent, but Babbel online courses allow for speech recognition to enable you to learn quickly and become comfortable uttering the words. The guide below offers you more insight into this language and how you can learn to speak Portuguese quickly. There are five main Romance Languages including Italian, French, Romanian, Spanish, and Portuguese. The terminology romance does not have anything to do with how romantic these languages are (although some people may argue otherwise), but it instead means to speak in a Roman dialect or fashion. Latin speakers first settled in Roman empires. It was here that the languages collided with other indigenous languages. The result was a mixture that formed new dialects. When the empire fell, and Rome lost control, people dispersed and forming distinct languages. At the start of the 16th century, merchants and explorers left Portugal and spread out their reach in other regions. They brought the languages into the new colonies. Portuguese is a humble dialect with an origin in Latin. Today, it is a global language spoken in four continents and officially used in 9 countries, most notably Mozambique, Brazil, and Angola. Other Portuguese speaking countries include Paraguay, North America, Uruguay, Indonesia, India, China, and Australia. What Is The Commonality of Portuguese with English? Historically, English is a Germanic language. However, it borrows most of its vocabulary from Latin and French. This makes it very close to the Romance languages. It is interesting to note that Portuguese and English share words that sound similar both in pronunciation and meaning. The more obvious ones include samba, nova, and marimba. You will be surprised to learn that several English words hail from Portuguese. For instance, the word “embarrass” is derived from the Portuguese word ’embaracar.” There are also words from animals and tropical plants that are directly plucked from Portuguese such as coconut, carnauba, flamingo, cashew, mangrove, acai, mango, macaw, jaguar and piranha. Portuguese is a fast-growing language when compared to Spanish and English. This is why Babbel, teaches Brazilian Portuguese. When deciding on which dialect we could teach through Babbel, we assessed the growth of the language and the number of people speaking Portuguese. We found that out of 240 million people who speak this language, a stunning 200 million reside in Brazil. Only 10 million of these people live in Portugal. The rest are spread out in Angola and Mozambique. Brazil is on the watch for the fastest growing economies in South America. Reports by several economic forecasters with an eye on BRIC countries agree that Brazil is an economy to reckon with among these countries. These forecasters have termed it as a land full of many opportunities. The boost in the economy has made Brazilian Portuguese more common. In fact, it has grown to be the standard for those who want to learn to speak Portuguese quickly. Based on this forecast and the numerous opportunities, now is the best time to learn how to speak Brazilian Portuguese. If you are wondering how to learn and speak Portuguese, you can get on board with Babbel and join over 200 million people across the globe who speak Portuguese as a second language. How Can I Learn to Speak Portuguese? While English and Portuguese are close cousins, the biggest difference between the two is pronunciation. This is the biggest challenge for beginners who are learning how to speak Portuguese. For instance, it is easy to tell the meaning of various Portuguese words such as visionário, paciência, and cominição. These words resemble English words. However, the major challenge comes with the accent marks. Written Portuguese may appear daunting at first. However, you will be delighted to note that the spelling rules in Portuguese are more consistent when compared to English. As soon as you master the accent marks, then you will find that pronunciation becomes easier. Soon you will realize that you can pronounce Portuguese words that you have never hear or seen before. The speech recognition feature on Babbel makes it much easier for you to practice the accent. Once you master Portuguese grammar, you will find that the rules remain the same for French, Italian and Spanish. Portuguese is, therefore, a good base language to help you learn the rest of the romance languages. This is because all these other languages are plucked from Latin. Romance languages all share certain grammatical rules. For instance, all verbs are normally conjugated, adjectives should come after a noun, and the subject-verb order should be inverted when asking questions. Familiarity with one Romance Language makes it very easy for you to learn the rest. The Babbel Portuguese learning course is not only affordable, but it is easily accessible online. What’s more is that you can learn through your mobile devices. Babbel has been tried and tested and proven to be a great tool to help you build your comprehension, listening and speaking skills. There are incredible perks to being a Babbel user. For starters, you have access to a comprehensive and diverse program. This comes with writing exercises, pronunciation skills, pronunciation, conjugation, and listening comprehension. This means that you can easily practice on your Android device or through your iPhone, whether you are on holiday, relaxing or even driving. Babbel is a great learning alternative for beginners and if you are too busy to attend a physical class. If you learn Portuguese in the past, learning the Babbel way is a good way to brush your skills. One of the main advantages is that you can customize the lessons and learn at your own pace. You can also repeat areas you find challenging. In addition to this, you will join a community of Babbel learners. This gives you an opportunity to share, ask questions and seek advice from people who have benefited from the platform. This is via the chat and message board features. Fast track your way to learning Portuguese using Babbel.